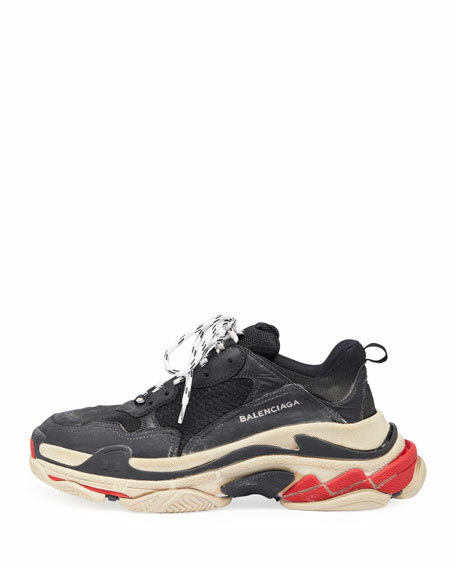 Balenciaga trainer sneaker in breathable mesh, calfskin leather, and suede. Looped pull at tongue and heel. 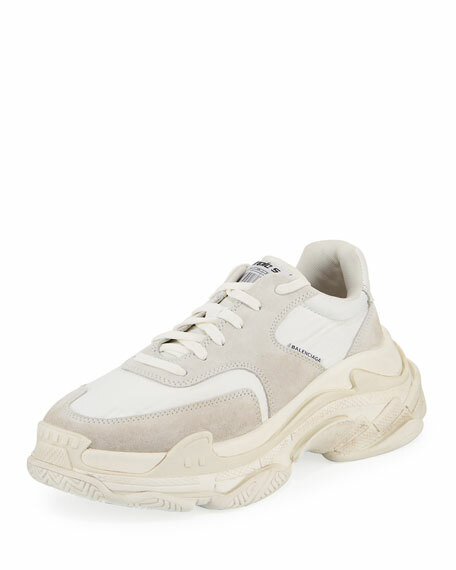 "Triple S" is made in Italy. 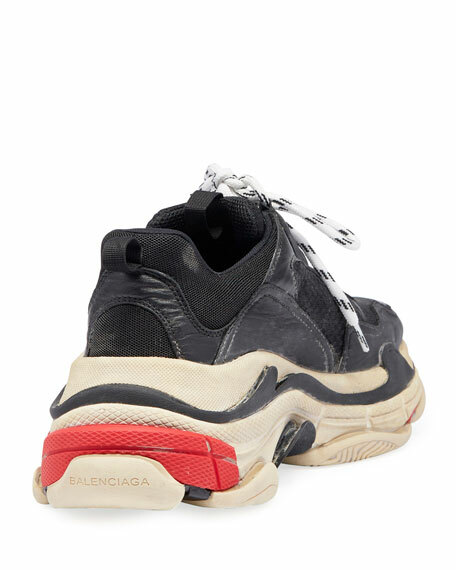 For in-store inquiries, use sku #2426017.
adidas by Raf Simons men's "Replicant Ozweego" leather and textile sneaker with transparent silicone windows. Poron performance cushioning sockliner. Round, reinforced toe. Lace-up front. Padded collar. Mesh lining. EVA midsole. Rubber outsole. Imported. 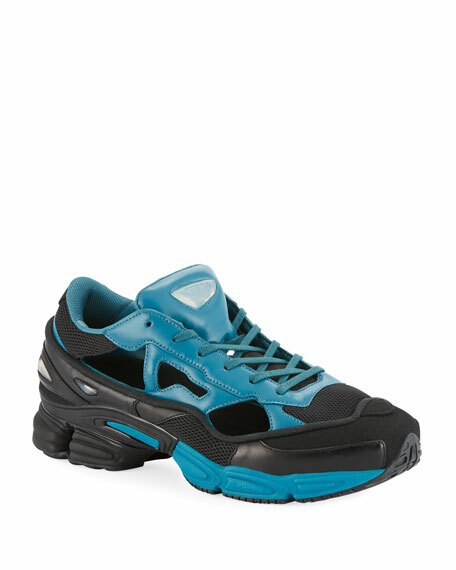 Balenciaga trainer sneaker in mesh with patent calf leather trim. Bootie construction forms to foot. Round toe. Elastic band across vamp. Lace-up front. Looped pull at tongue. Tonal leather trim. Rubber outsole. "Race Runner" is made in Italy. 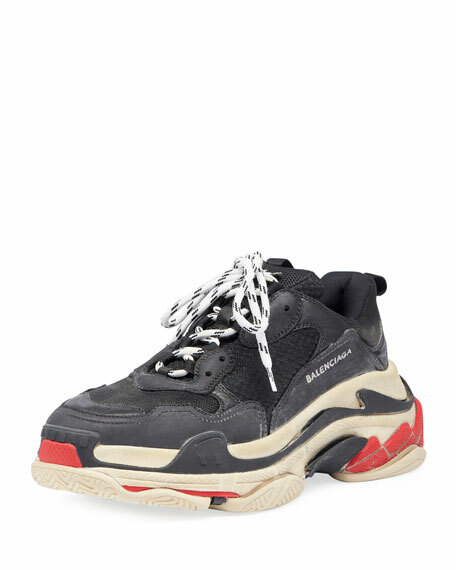 Balenciaga trainer sneaker with mesh upper and suede trim. Flat heel with platform. Reinforced round toe. Lace-up vamp. Logo at tongue and backstay. Cushioned insole. Rubber outsole. Polyester. Imported. 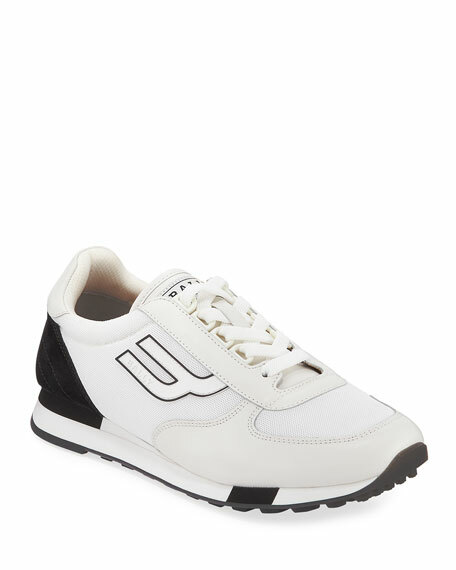 Bally "Gavino" running sneaker in leather, suede, and textile. Round, reinforced toe. Mesh inset at vamp. Lace-up front. Logo patch at tongue. Patent detail at back. Rubber outsole. "Gavino" is imported.